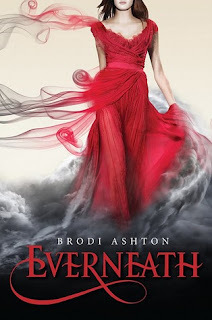 The Compulsive Reader: Looking Ahead: Brodi Ashton and Everneath! The cover is Beautiful! I look forward to this one . This looks SO AWESOME! I ADORE the cover! I really enjoyed reading this post. The cover is absolutely gorgeous and I'm definitely going to be buying this one when it's published. That cover is amazing. I think I'll enjoy reading about the trip to the Underworld and ensuing shenanigans. I'll definitely be picking this up in January. I so want to read this book and not only because of the rocking cover! Eeek! I love Brodi Ashton-- her blog is HILARIOUS! And her book sounds amazing, plus the cover is equally amazing. I hate waiting so long though!